I've been taking 6-8 capsules of DB-7 by Rx Vitamins a day per my naturopath for 6 weeks and I see no reduction in blood sugar. 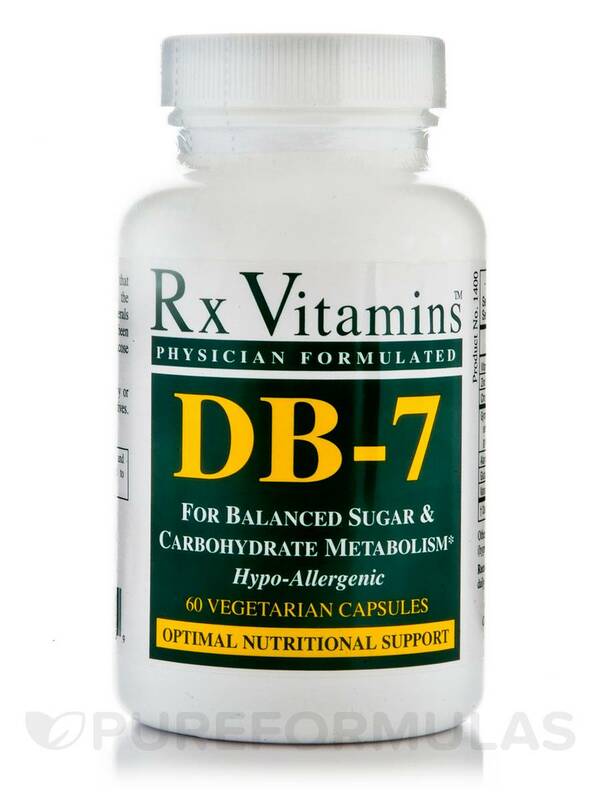 If you’re looking for a supplement that may work to maintain blood sugar balance‚ Rx Vitamins’ DB-7 might be right for you. 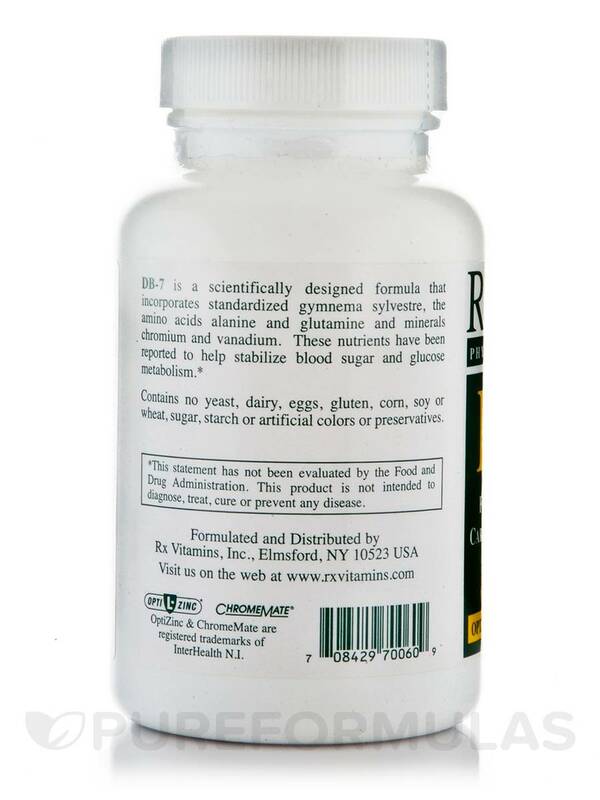 First‚ every serving of DB-7 provides 750 milligrams of gymnema sylvestre extract. Notably‚ this herb contains active compounds known as gymnemic acids that could potentially offer support for healthy pancreatic function; this is important because your pancreas is responsible for producing insulin‚ which is a hormone that can play a role in regulating blood glucose levels. This Rx Vitamins supplement also contains nutrients like chromium‚ zinc‚ and vitamin C that might help your body utilize the insulin in your body more effectively. Finally‚ DB-7 provides alanine and glutamine. Significantly‚ these two amino acids may act to preserve already healthy blood sugar levels by working to regulate glucose metabolism. At the recommended serving size of two capsules daily‚ each 60-capsule bottle of DB-7 by Rx Vitamins should last for about one month. 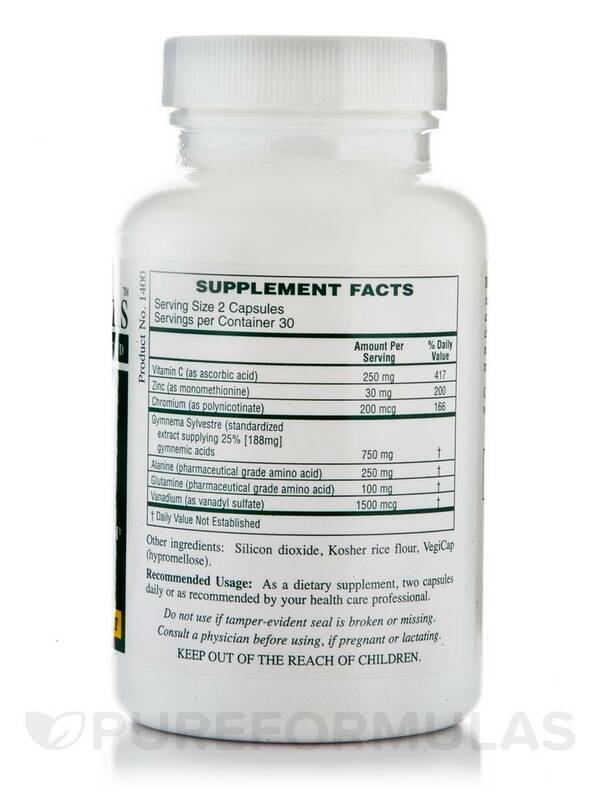 Recommended Usage: As a dietary supplement‚ take two capsules daily or as recommended by your physician or health care professional. DB-7 by Rx Vitamins was prescribed by my naturopath for pre-diabetes. Without any changes in my diet or exercise, my A1-C went down and I lost 15 pounds over a year. I'm no longer considered pre-diabetic. I recommend this product for others whose A1-C is slightly elevated. I intend to keep using it. The capsules are large and might be difficult for some people to swallow. Does it work to reduce blood sugar? Seems to have good ingredients. Does not seem to have a measurable effect on blood sugar levels checking twice a day. DB-7 by Rx Vitamins is easy to swallow & tasteless. I just began as prescribed by my Naturopath to control a rising fasting blood glucose despite dietary & lifestyle changes. I won't know the efficiency of the drug on my blood glucose until another level is drawn in about 60 days. Easy to swallow & tasteless.